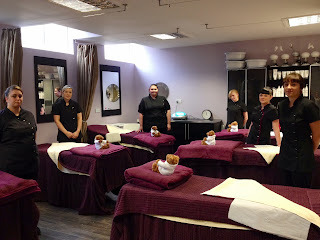 Our level 1 beauty therapy students are proud to display the newly decorated beauty therapy training/treatment room at ALD Hair, Beauty & Barbering Academy. We're also all very excited for new the new beauty treatment machines that will be arriving soon and will enable us to run our first level 3 beauty therapy course at our academy! Hi everyone welcome to ALD Hair, Beauty and Barbering Academy's new blog! This blog is for all our tutors and learners as well as anyone is interested in joining us! This is where you'll find any information about our courses, funding and salon appointments.